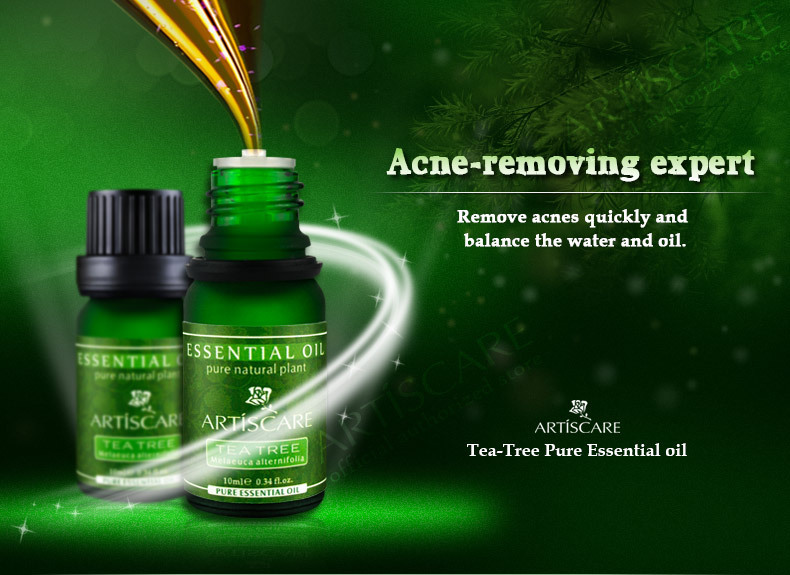 Why Tea-Tree essential oil can remove acnes effectively? Acnes are caused by clogged pores.When skin is influenced by environment, stress and other reasons, skin resistance will relieve acnes. 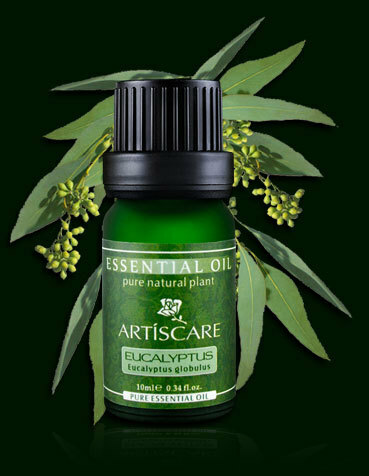 Tea-Tree essential oil will accelerate the process to quickly remove acnes. infiltrate deeply, unblocks pores, remove acnes. 1. infiltrate deeply, quickly remove acnes. 2. extract from natural plants, safety without side effect. 3. balance the water and oil, control breakouts of acnes. 4. protect the wound, prevent infection and deterioration of acnes. 5. effectively control sebum, dredge pores, acnes will not relapse. 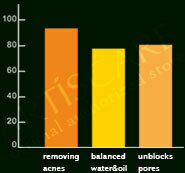 Tea-Tree essential oil that effect of removing acnes is remarkable. 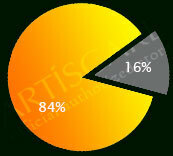 More than 84% repeat purchase after use it or recommend friends to buy it. 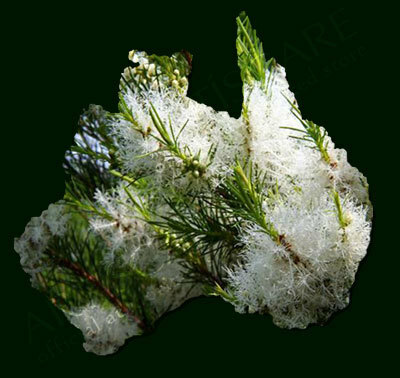 Because of unique closed ecosphere and oceanic climate, Australia creates appropriate environment for tea tree to grow up. Through many years of development, Tea tree has become important industry. Most of tea trees are planted 20 years ago. Finished tea-tree essential oil in nitrogen for transport and pursue constant quality. Huge distiller is more advanced than its peers, to ensure the quality of pure essential oil. The plantation lab will decide the right picking time according to annual rainfall to guarantee excellent quality of essential oil. purify skin, shrink pores and control sebum. Improve the defense capability,relieve throat discomfort. Refresh mind, increase energy. Especially suitable for frightened state. 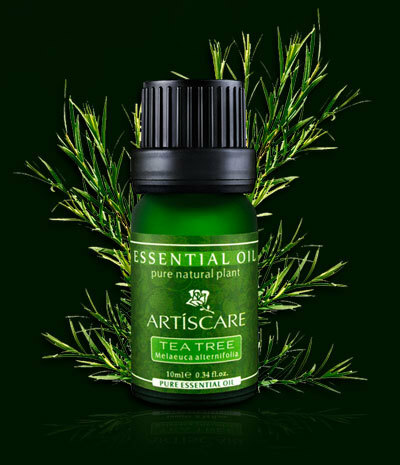 · Tea-Tree is native to australia. In 1770, a british explorer – captain James Cook arrived at the continent of australia and discovered that the natives picked leaves to boil tea for drink. he called those leaves “tea tree”, which can be used for drink. the natives can use it to treat a variety of wounds and skin diseases. from then on, tea tree is known for the effect of anti-inflammatory. · In 1923, an australian chemist Dr .A .R .Penfold discovered that the effect of anti-inflammatory of tea tree oil is 12 times the height of disinfectant. What’s more, it is mild without stimulation. 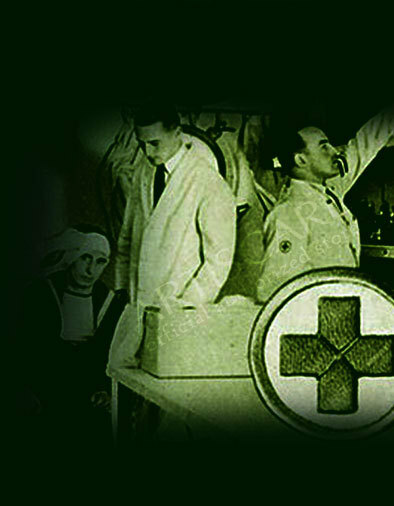 · During World War II, a French military doctor used Tea Tree oil to treat wounds. The wounded treated by him had survived. So the tea tree oil is called “combat medic”. As long as I find acnes break out, I will apply tea tree oil on acnes. After a couple of days, acnes gradually disappear. That is amazing! I like to drop it into cream to improve my skin, shrink pores and prevent acnes.I highly recommend that. It is easy to use for removing acne. Just use swab to dip a little of Tea Tree oil onto the acnes. For my oily skin, I have to carry it with me all the time. 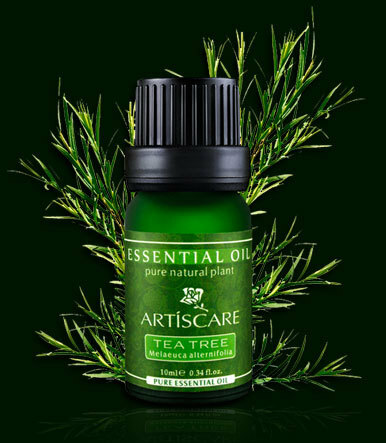 Tea-Tree essential oil is the best first-aid. Use a swab to dip 1-2 drops of tea tree oil, and then directly apply it to the areas of acnes, acnes will disappear gradually. Put a drop of tea-tree essential oil into facial mask for attaining to shrink pores and repair cells. Tea Tree essential oil 1 drops + chamomile essential oil 1 drops + lavender essential oil1 drops + 10ml grape-seed carrier oil, Apply to your face. While soaking feet, you can put 3 drops of tea tree oil and 3 drops of lavender oil. If you insist on using, beriberi would be improved. Put a drop of Tea-Tree essential oil it into water for bathing. Put 1-2 drops of Tea-Tree essential oil it into warm water for rinsing your mouth. Mix 5 drops of Tea-Tree essential oil it with appropriate amount of water, and then spray in the air. Put 3-4 drops of Tea-Tree essential oil it into water for washing underwear. In this way, it can remove odor. Put 2-3 drops of Tea-Tree essential oil it into a censer for incense. Different acnes should be treated by different solution. In this way, the effects of acnes-removing will be more obvious. 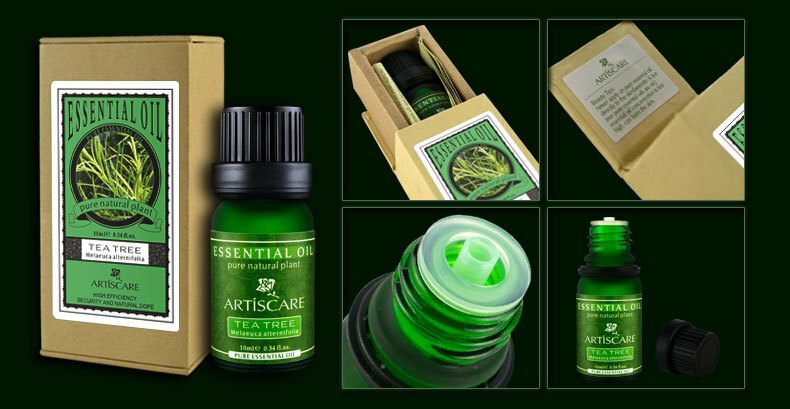 Tea tree essential oil has a good effect of anti-acnes. The method of it is also very easy. Use a swab to dip – a little of it to smear onto the area of inflammation or the area of acnes which don’t inflame. Remove acnes quickly and balance the water and oil. Whether acnes are caused by environmental pollution or endocrine disorder, using tea tree oil and eucalyptus oil can relieve reddish tone and acnes suppuration. Use 1-2 times, you will see an effective result. cleanses and purifies skin, dredge pores. The effect of anti-acnes is remarkable. 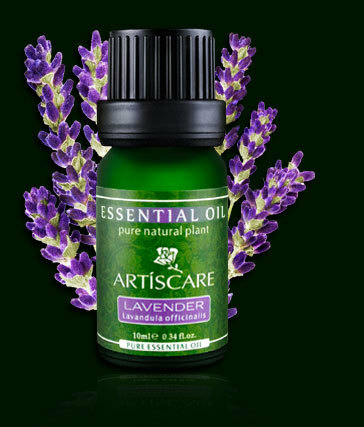 If pimples relieve and become acne marks, you should use lavender oil to remove acne marks. Remove acnes and fade acne marks. Improve sleep. From Provence “omnipotent”. 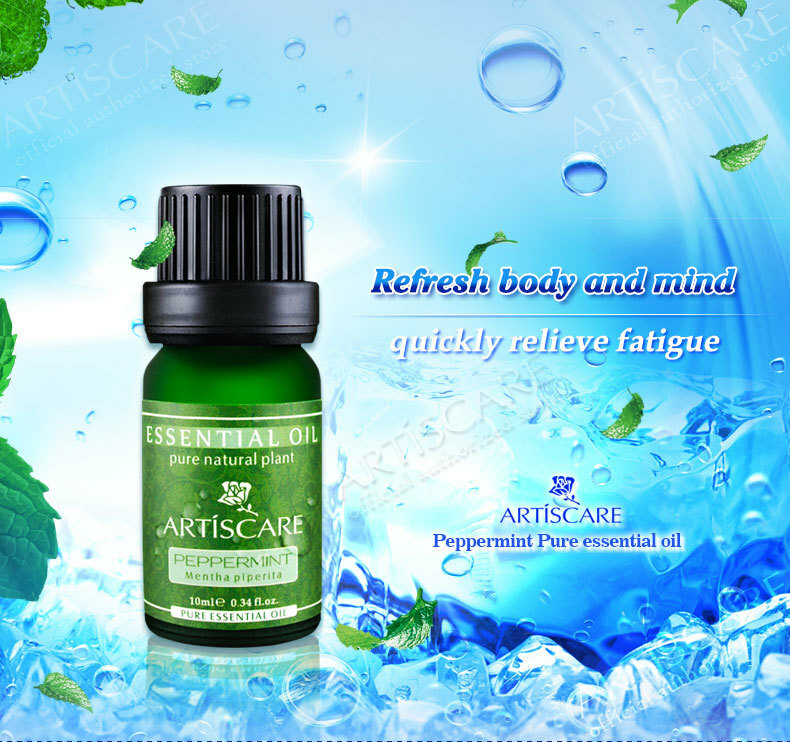 To pursue high-quality essential oil, Artiscare makes every effort to pay attention to every detail, from the packing materials to the finished products. 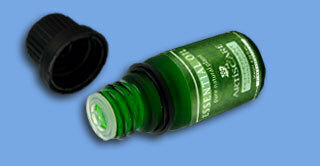 The bottles of essential oil adopt China Pharmaceutical Grade (YB) Standard. 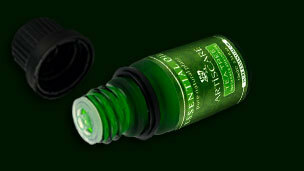 Each Artiscare essential oil adopts the bottle material which can meet the standard of China Pharmaceutical Grade (YB). 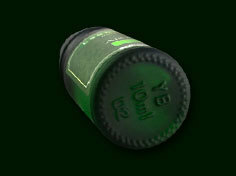 As the best choice for preserving high-end essential oil, the “YB” bottle has stronger corrosion resistance and can well preserve essential oil to avoid taking place qualitative change. Adopt Germany original bottle caps and corks. 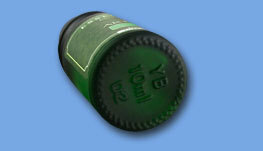 Germany original bottle caps enjoy the best airtightness and can well preserve the quality of essential oil to avoid volatilization; meanwhile, the corks can accurately control the flow velocity of essential oil to make sure that every drip will not be wasted. Do you have the situations mentioned below? Due to insufficient rest in daily life, we are tend to feel fatigue while driving, divert our attention in meeting and feel sleepy in class. Your life, career and study will be greatly affected. However, the Peppermint essential oil is your “savior”,can put you back to the right track. Put 2 drips of peppermint essential oil on the palm. Gently kneading your hands to quickly cover your nose. Close your eyes and take deep breaths. In this way, you will feel refreshed. It can also relieve fatigue, focus attention, relax body and mind and make you feel cool. Caution: Pure essential oil can not be directly applied to the skin. There is a translucency thickness on the palm. Therefore, you can directly put 2 drops of essential oil on the palm. Relieve acnes, cleanse skin, remove pimples and relieve inflammation and redness. suitable for oily skin and oily hair. Refresh body and mind, quickly relieve fatigue. German scientists randomly select 100 social people to conduct the research. They find that people who often smell peppermint increase their concentration by 27.5%, and decrease their sleepy rate by 39.2%. Promote lymphatic detoxification, help urination, reduce fever, help perspire, and remove body odor. It is also good for digestive system. Apply peppermint essential oil to the skin, you will feel cool. After rubbing, the skin starts warming up. Because plants grow in nature, it must have self-adjusting ability. Many effects seem contradictory but factually not.therefore, you can use peppermint oil to reduce the surface temperature; after rubbing, the skin will warm up. It can relieve flatulence and coordinate intestines as well as stomach. In greek legend, zeus fell in love with menthe who is very beautiful. but zeus’s wife hera felt angry and turned menthe into grass trampled by people. however, menthe became more and more fragrant. she is the embodiment of menthe. the latin name of mint is mentha, also called “Mentha”. In fact, in ancient rome, people began using peppermint to treat flatulence. british pharmacopoeia records that it is good for intestines, stomach and nerve. The peppermint belongs to the mint. it originates in europe and is exclusively used for aromatherapy and medicinal plants breeding. 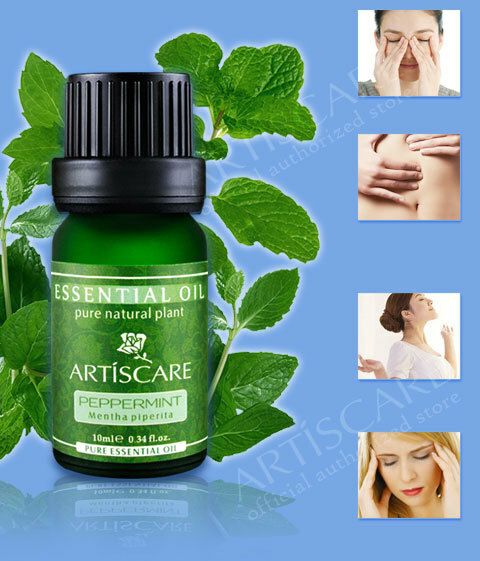 It is well-known that peppermint essential oil is pungent in the field of aromatherapy. The cool and fresh smell can stimulate brain, refresh spirit and improve attention. In addition, with the respect to skin-care, it can calm the skin to fade redness and relieve irritation and itching. It has a certain effect on cold treatment. Comparatively speaking, peppermint essential oil can refresh mind and improve focus better. 1. The peppermint oil should be diluted before use. 2. Not suitable for bathing. 3. Do not use peppermint oil at night, because it may affect your sleep. 4. Avoid using it during menstruation, pregnancy and lactation.